This post has been authored by Peyton Stauffer, a 6th grader at Salisbury Middle School. Chinese New Year activities took place in sixth grade from December 17th to December 21st. 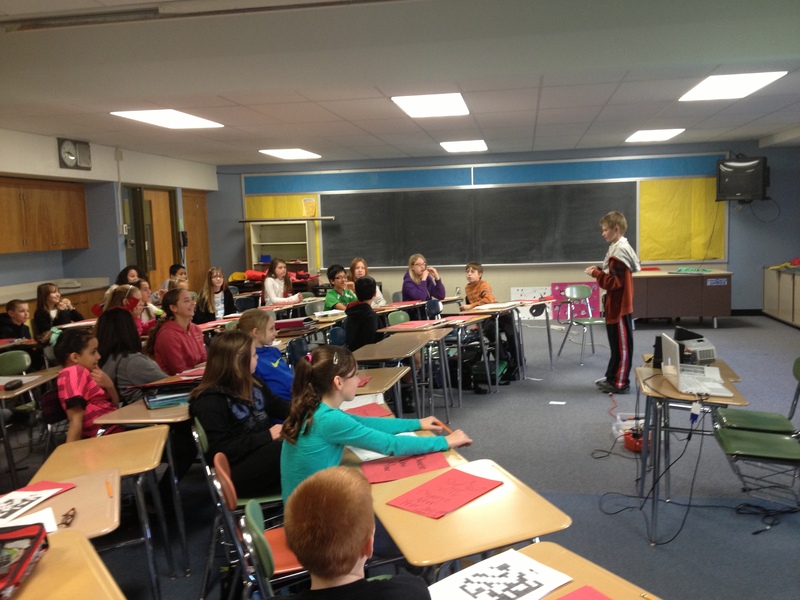 Every sixth grade student received a topic on Ancient China from our social studies teacher, Mrs. Yurconic. For two weeks, during English and social studies class, we used most of our time to work hard and come up with a project and a report on our topic. My group, which included Gabriella Grym and Erica Holben, created an iMovie to demonstrate our learning. We narrowed the topic of fashion to four major items: foot binding, weddings, hats, and the clothes of poor people. Many other groups took advantage of our new computers and the software to create their projects. One group used Notebook software to create an interactive game in which the program could be used to roll dice and move game pieces. Another group used a camera and hooked it up to the SMART Board so we were able to watch them play their board game on a large screen. A program that was used often was Keynote. My classmates added video, pictures, text and effects to a slideshow to help bring the game of Mah Jong and the topics of gods and goddesses, gunpowder, and lanterns to life. During the short school day on December 21st, we went to different classrooms to play the games, try the activities, and to make fire crackers. During the last fifteen minutes of the day we went outside and “set off” our fire crackers to celebrate the Chinese New Year. This was one of my favorite projects for school, and I really enjoyed watching how everyone else demonstrated their knowledge. I also enjoyed doing all of the activities that my peers had put together. When you connect your laptop to a projector, you can control what is seen by your audience. If you plug it in and you only see a blank background, you need to mirror your desktop. This guide will help you show exactly what you want on your projector. looking for. For more information, consult this guide: Using Your Browser’s Find Function.